Located in the heart of Blaine, this hotel is 0.4 mi (0.7 km) from National Sports Center and 8.1 mi (13 km) from Bunker Beach Water Park. Bohanon Park and Anoka Technical College are also within 16 mi (25 km). 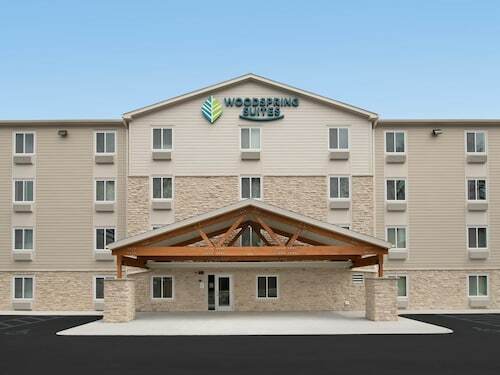 Situated in Blaine, this hotel is 1.7 mi (2.8 km) from National Sports Center and within 12 mi (20 km) of Bunker Beach Water Park and Bohanon Park. Anoka Technical College and Tamarack Nature Center are also within 12 mi (20 km). Situated in Blaine, this property is 4.7 mi (7.6 km) from National Sports Center and within 12 mi (20 km) of Bunker Beach Water Park and Anoka Technical College. Target Field and Target Center are also within 20 mi (32 km). Situated in Blaine, this vacation home is 2.9 mi (4.7 km) from National Sports Center and within 12 mi (20 km) of Bunker Beach Water Park and Anoka Technical College. Bohanon Park and Tamarack Nature Center are also within 16 mi (25 km). How Much is a Hotel Room in Blaine? 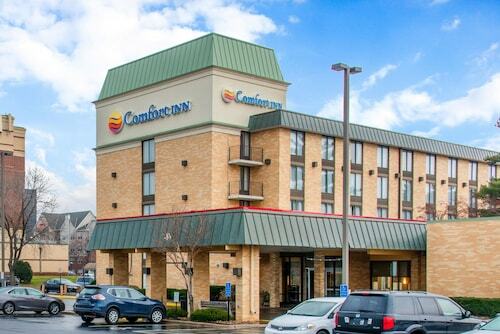 Hotels in Blaine start at $82 per night. Prices and availability subject to change. Additional terms may apply. Is sand mining such a thing? Wandering through the thousands of acres of peat sod farms in Blaine, Minnesota, you’ll discover that indeed it is. With abundant open spaces and world-class soccer, Blaine, Minnesota, attracts all types of travelers to its sandy soil. From sports and festivals to open-air concerts, we think you're going to like it here. 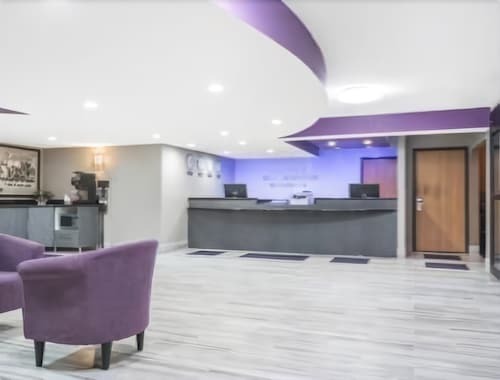 You’ve worked on honing your hand-eye coordination for years and can finally test it at the National Sports Center after stowing your bags in one of the Blaine, MN hotels. This is the world's largest amateur sports facility, so go get grass-stained in a pick-up game on one of the more than 50 soccer fields, hum around the velodrome, or practice your golf swing at Victory Links, the only PGA-designed golf course in the state of Minnesota. Treat yourself to a front-row seat to the action and lose your voice bellowing, “Gooooooal" for Minnesota United FC. But make sure you get up at halftime to try the melt-in-your-mouth fish and chips or BBQ from one of the regular assembly of food trucks. If you need to cool off take a dip in the calm waters of Sunrise Lake and rent a canoe to paddle about to your heart's content. Unwind in the evening by sidling into your Blaine, MN car rental to taste the gustatory delights in Minneapolis or St. Paul. The Twin Cities are close enough that you'll have no problem making it back to motels in Blaine, MN, before you turn into a pumpkin. But why hurry if you're enjoying yourself? 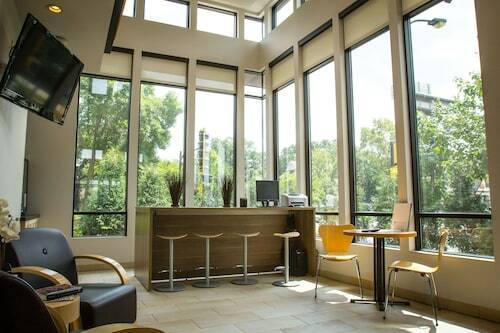 Linger late with the locals and stay in one of the Minneapolis hotels. 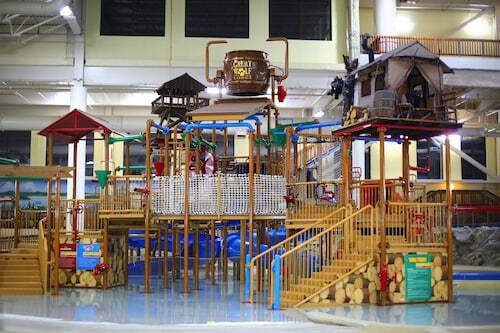 Ready to get active at the National Sports Center or chill out on the shores of Lake Sunrise? 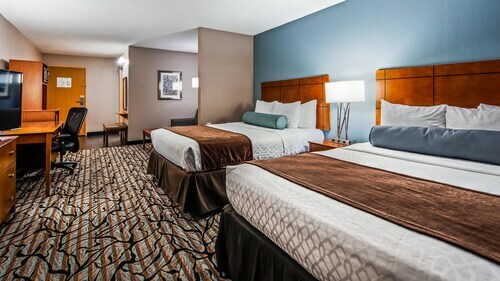 Travelocity has great prices on hotels in Blaine, MN, helping you get the most from your journey to the North Star State.